Lending in all of Illinois’ communities! We have been providing Illinois mortgages to citizens for a number of years. Thanks to our status as a fully licensed mortgage bank we can offer an Illinois mortgage to any qualifying person throughout the state. 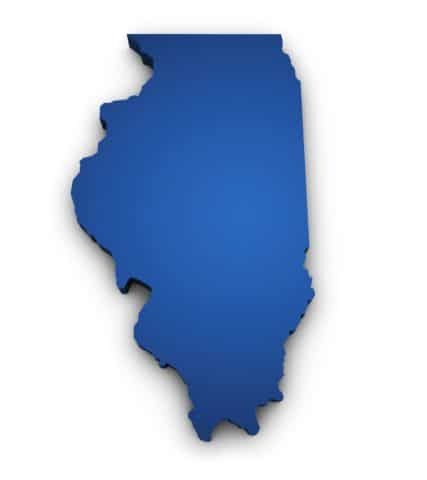 We even have access to some Illinois mortgages that are specifically tailored just for this state. We are able to assist first time home buyers as well as experienced buyers with all of their mortgage needs. Whether you are moving up to a bigger home, downsizing or looking to purchase an investment property, we have an Illinois mortgage that is right for you. One of the main benefits of our mortgage bank status is the ability to provide underwriting for most of our loans with our own staff. Keeping the processing and underwriting of our files within our control allows us to keep our costs low. We also have numerous Illinois mortgage programs designed for refinances. Whether it is a large home renovation loan or a simple refinance to only lower the interest rate, we have the right product. Our experienced Loan Officers and staff will meet with you to find out what your needs are and match you with the best Illinois mortgage. Contact Us today and let us put our team to work for you. Real estate agents and mortgage lenders all agree that a home inspection is always a good idea for a new purchase. It is a bit of an expense that could either give the buyer peace of mind with the purchase or uncover a major problem that gets fixed before the transaction is closed. Real estate has been a source of investment income for many people for several years. While some choose to buy a home and rent it out, others prefer to purchase a home in need of a little TLC and sell it for a quick profit after making the repairs. This requires either deep pockets or access to flexible financing. A comprehensive guide that explains how to get a mortgage from start to finish. This is all timely information using the latest trends in the business. Read it and see how your lender and real estate agent will work together to help you buy a home. The steps to take in order to stage a home are slightly different than moving in to a home and setting up your belongings. A staged home needs to appeal to a wide variety of people since you likely won’t know much about the tastes and opinions of the person that ends up owning your home. We have put together a list of sure-fire ways that have been used by countless consumers to increase their scores. These tips are the basis for getting a credit score that reaches the top level of ratings. There is one primary obstacle that prevents people from attempting to buy a home; the down payment. A poll conducted by the National Association of Realtors shows that over 85% of people considering buying their first home believe that it is necessary to have a 10% down payment or more in order to qualify for a mortgage. Learn how to buy a home with no money down! Since the loan approval process is ever changing we thought it might be a good idea to share some general tips and potential pitfalls that a Wisconsin first time home buyer may run into when purchasing a home. Luxury home selling tips that will not only bring buyers in to view your home but they will also be ready to make an offer! Real estate experts for once will all agree without exception: even if it's the mansion of your dreams, the best house on the block might not leave you in the best position!